The Sustainable Development Goals (SDGs) are ambitious and integrated in nature, requiring strengthened multi-sectoral partnerships to deliver on a transformative and universal agenda that leaves no one behind. The multi-stakeholder platform Every Woman Every Child (EWEC), spearheaded by the United Nations Secretary-General, places the health and well-being of women, children and adolescents at the core of the SDGs and unites partners across sectors to deliver on this integrated agenda. EWEC’s Global Strategy for Women’s, Children’s and Adolescents’ Health (2016–2030) aims to serve as a front-runner roadmap for countries to implement the SDGs in a way that addresses inequities and strengthens fragile health systems (EWEC, 2015). A child’s earliest years present a window of opportunity to address inequity and achieve sustainable development for all. Every Woman Every Child recognises the significance of investing in the early years through a health lens, and makes recommendations about targeted early childhood development interventions through its Global Strategy. Such investments are some of the smartest a government can make to break the cycle of poverty and improve outcomes later in life. Yet some 43% of children under 5 in low- and middle-income countries are not achieving their full potential. The EWEC Global Strategy takes a life-course approach and encourages cross-sectoral collaboration to help offer all children, in all settings, a fair start to life so they not only survive but thrive and transform their communities. EWEC further works to build out linkages to adolescents through targeted health investments, to ensure a continuum of care and unlock dividends for generations to come. Nevertheless, continued political momentum and commitments are needed to ensure urgent and accelerated action at country level. Since 2015, over 65 countries and over 180 organisations have made commitments to advance the updated EWEC Global Strategy, with total pledges worth more than USD 28 billion, with multi-stakeholder partners reaching around 273 million women and girls so far. At least 80% of these pledges align closely with the Thrive pillar of the EWEC Global Strategy. 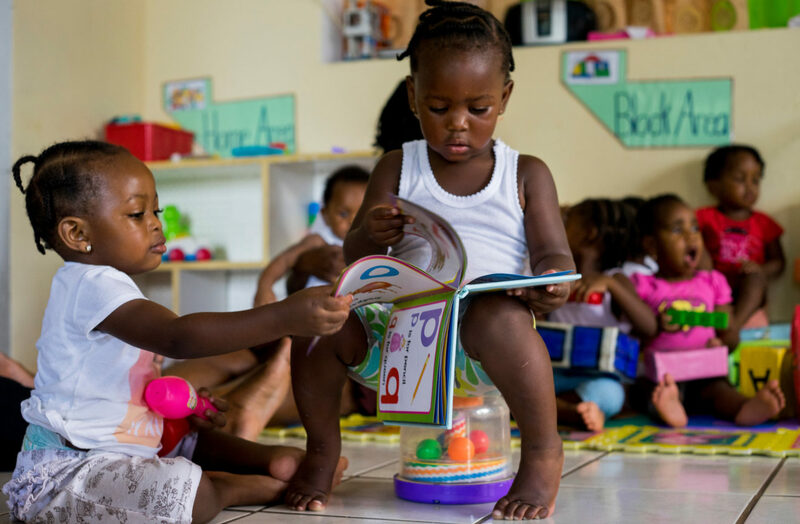 Early childhood development is also one of the six focus areas identified by the High-level Steering Group for EWEC in the EWEC 2020 Partners Framework for increased and concerted attention through 2020. The High-level Steering Group is led by the UN Secretary-General, António Guterres, and aims to inspire and facilitate collective political advocacy at the highest level and accelerate action for results. Quality health, education, nutrition, protection, a child-friendly built environment and nurturing care at the right time in a child’s life enable healthy brain development, which improves children’s capacity to learn and increases their productivity in adulthood. While investments in each of these sectors are important on their own, they are insufficient to create positive holistic change in the life of a child. Collectively, however, these human capital investments are greater than the sum of their parts, creating healthier, more prosperous, resilient and economically vibrant societies for generations to come. EWEC has had a strong focus on cross-sector collaboration to unlock the full potential of women, children and adolescents. This is further reflected in EWEC’s active engagement in the Global Partnership Initiative launched in November 2016, with the Global Partnership for Education (GPE), Sanitation and Water for All (SWA), and the Scaling Up Nutrition (SUN) Movement, who have collectively developed a Partnership Playbook to guide principled collaboration and came together under the umbrella of early childhood development last year in the margins of the UN General Assembly to promote cross-sectoral investments in the early years. In order to further deliver tangible results and support country-level implementation, the EWEC architecture provides an unparalleled harmonising mechanism that ensures streamlining around financing, programming, advocacy, partnering and accountability in a shifting development landscape. Alignment across the core components of the EWEC ecosystem – the Global Financing Facility (GFF), the Partnership for Maternal, Newborn and Child Health (PMNCH), the H6 Partnership (WHO, UNICEF, UNFPA, UNAIDS, UN Women and the World Bank) and the Innovation Market Place – helps to operationalise stronger coordination for action and impact. By offering the best start to life to all children, in all settings, through targeted, cross-sectoral investments in their earliest years, EWEC is committed to helping children reach their full potential and grow into healthy adolescents and empowered, engaged adults to build a sustainable future for all.